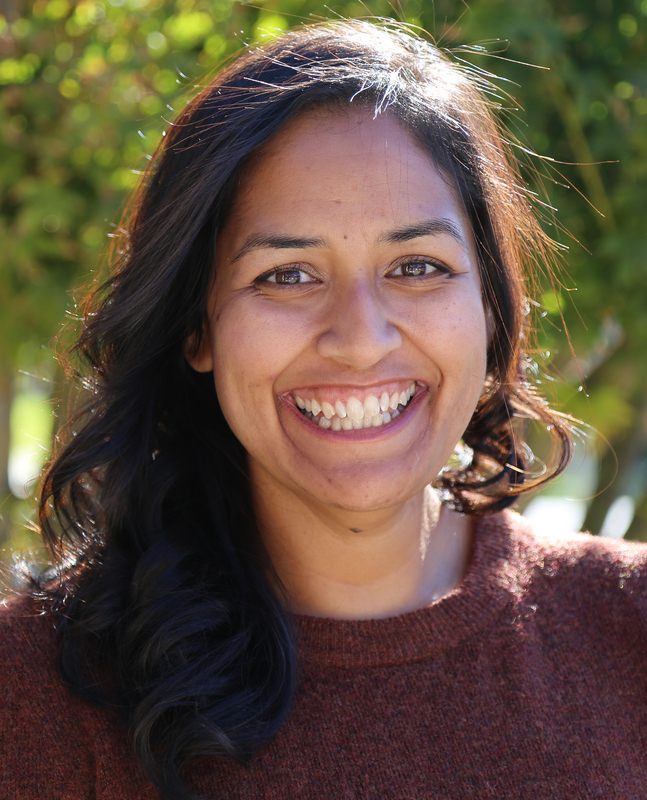 Linda BiswasEvangelism DirectorLinda Biswas joined QHM in November 2018. Prior to joining our team, Linda served as the Assistant Chaplain for COMS: The Center for Outreach and Mission Service and other functions at La Sierra University for the past 14 years. Her love for missions began at a young age. Linda’s parents, natives of Bangladesh, regaled her and her two sisters with countless stories of missionary boxes that helped their family, and of the dedicated career missionaries that served as pastors, teachers, and principals. It was in undergrad at La Sierra when Linda’s life trajectory was changed…the year she decided to become a student missionary. Now, dozens of mission trips later, a few units shy of her MTS and eventual MDiv degree, and with the North American Division Adventist Chaplaincy Ministry endorsement under her belt, Linda’s passion is to see people encounter Christ in a new way through service and she can’t wait to see others experience this with her at Quiet Hour Ministries. Jim NeergaardEvangelism Assistant DirectorJim Neergaard joined QHM as interim executive director for international evangelism in July, 2013. Over the last few years he’s led multiple QHM mission trips and was part of our evangelism staff from 1999 to 2004. His nearly 40-year career in ministry includes pastoring, mission service and, most recently, self-supporting outreach in Cairo, Egypt. Jim has a passion for involving people in missions and is excited to bring this passion and his vast experience to Quiet Hour Ministries. Janice Chang CaseAssistant to the DirectorJanice, who joined Quiet Hour Ministries in January 2016, has been working in the Lord’s ministry since 1998. Prior to joining our team, Janice had served for 10 years in the Property and Trust Services Department at the Southeastern California Conference (SECC) of Seventh-day Adventists. She holds a Juris Doctor, a Doctor of Psychology and a Master of Laws in Taxation. Janice is also certified as a Chartered Trust & Estate Planner and a Master Financial Professional and is a Fellow of the American Academy of Financial Management. Janice is married to Steven, whom she met at SECC. They have a son, Jeremy. Georgia BurtTeam Member Support SpecialistGeorgia was hired by Quiet Hour Ministries in 1978 but first started as an after school volunteer. Since her start she’s served in various roles from dubbing tapes for radio stations, operating the camera and teleprompter for the Search telecast, working in the shipping department, printing the mailing list (pre-computer) on huge rolls of paper and assisting our IT Department. Her current role involves assisting our mission team members as well as processing and receipting donations. She and her husband live in Yucaipa. Shelina joined Quiet Hour Ministries in January 2018. She is very excited to be involved in evangelism and to help bring the gospel to all people. She is very involved with local church ministries, she loves photography, animals and hiking. She and her husband, Cristian, live in Loma Linda, California.